The much-improved HRP-2 (PD-17) featured a streamlined metal fuselage offering better visibility for two pilots, who now sat side by side ahead of the front rotor. The most significant improvement was the HRP-2's all-metal stressed-skin construction. Compared to it, the HRP-1 (with or without its balloon-cloth covering) looked like a dinosaur. It used the same engine and rotors as the HRP-1, but was slightly shorter and lighter. If its semi-monocoque fuselage had been built like that of an airplane, it would have been too heavy. The Piasecki team used a thinner skin and had the longitudinal members shaved down, as well as other extruded parts that could not be manufactured thinly enough. Jim Ryan lifted the new Navy helicopter into the air for the first time October 29, 1949. While it was indeed better than the HRP-1, the fast pace of helicopter technology had already passed it by, and better helicopters could now be built. With a gross weight of 3260kg, the HRP-2 was simply too light to offer much utility and only five were built. From what I understand, I was only a little girl, The Pilot James Ryan (my father), was doing a series of test flights, during one of them he was supposed to see how high vertically and under what conditions he could fly when he was forced to make a decision, either crash or try to do the loop, he was able to successfully do the loop. It's been a while, but as I remember it we would fly for 2.5 hours. Empty with a 20 minute fuel reserve. 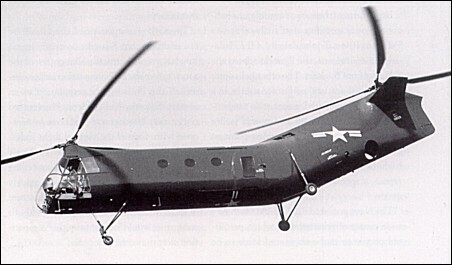 Piasecki PV-17 / HRP-2 1949 is amazing design helicopter, but how about its usability? like Chinook CH-47? What was the story behind Jim Ryan and the first helicopter loop. Respsct to Jim Ryan! I have a small question: how long can this helicopter be in the air without refilling? hey james ryan thats pretty cool! im not kidding!! My father Jim Ryan was the first man to fly a helicopter upside down using this helicopter.